The Climate Change Risk Atlas 2010 ranks Nepal as the fourth most vulnerable country in the world. Every year more than one million people are directly impacted by climate-induced disasters such as drought, landslides, and floods in the mid- west and far-west regions of Nepal. Disasters such as these are devastating vulnerable rural communities that rely on agriculture to grow food to survive and sell at market. Floods, landslides and drought prevent progress towards better lives and health and exacerbates the cycle of extreme poverty and vulnerability for some of the Nepal’s poorest people. In addition research shows that severe extreme climate events like floods and drought are occurring with increasing frequency in Nepal with climate change projections indicating this trend is set to continue. 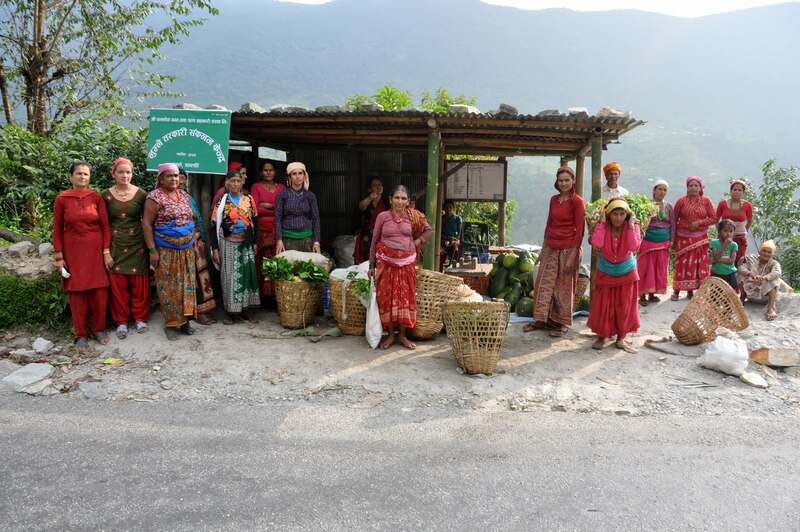 The Anukulan ("resilience" in Nepali) project* will help poor and vulnerable farming households in Mid-Western and Far-Western Nepal build resilience to the impacts of climate shocks and stresses. The project was developed specifically to help half a million poor and vulnerable people in rural Nepal build their resilience to climate change impacts like floods and drought. The project will be implemented by iDE, who are leading a consortium of international, national and research partners: ADRA, Renewable World, IWMI, Middlesex University Flood Hazard Research Centre (FHRC), RIMS Nepal, SAPPROS, Rupantaran, CIMMYT and Netafim. Reduce the vulnerability of poor people to climate related shocks and stresses. Better enable local government, civil society and the private sector to respond to climate related shocks and stresses. Gain a better understanding of what works in building resilience to climate related shocks and stresses and integration into disaster risk reduction approaches. Help put in place improved policies integrating disaster risk reduction and climate change adaptation at local and national levels. Anukulan is part of UK Aid’s BRACED programme which is helping people become more resilient to climate extremes in South and Southeast Asia and in the African Sahel and its neighbouring countries. *The main methods and approaches of the project are outlined below. See the feature document (right-hand column) for greater detail. Building the capacity of local communities to manage floods, drought and new crop diseases etc. Empowering women and other marginalised groups and increase their participation in sustainable, local grassroots institutions. Commercial Pockets: Anukulan will develop 50 commercial pockets around collection centres, serving over 30,000 farming households. Commercial pockets bring together all the market actors in a local area at a rural collection centre. In doing so they support collaboration and synergy between all market actors, enabling them to take advantage of market opportunities and become profitable businesses. Integrated Pest Management Packages: iDE has created holistic ‘packages’ for growing major vegetable crops using environmentally safe bio products. By scaling these packages through the private sector the benefit-cost ratios range between 1: 5-22 with additional health and environment benefits. Micro Irrigation Technologies: Anukulan will stimulate markets for locally manufactured drip systems, imported larger systems, micro sprinklers, treadle pumps, and water storage technologies. The main focus will be the promotion of drip systems - a climate-smart, low-water irrigation technology that enables farmers to get ‘more crop per drop’. These technologies significantly increase farmer income and water use efficiency and can reduce women and girls’ water collection burden. Multiple Water Use Systems: Multiple Use Water Systems (MUS) are piped systems that provide sufficient water for domestic use and high-value agriculture. Gravity MUS costs approximately £70 per household. iDE impact surveys demonstrate MUS increase annual incomes by over £130 per household. These systems provide multiple benefits including health and sanitation and dramatically decreasing the workload of women and girls for carrying water. Renewable Energy: Consortium partner Renewable World will support renewable energy technologies including the hydraulic ram pump (hydram), solar PV for lifting water for MUS, and household/community biogas. Harmonisation: Anukulan will also scale up a unique approach to harmonise two co-existing planning strategies associated with climate change and disaster risk reduction. The ‘Harmonisation Approach’ will help 100 vulnerable local communities improve resilience to extreme weather events and build the capacity of local communities to manage floods, drought and new crop diseases and climate shocks and stresses in the long term. In addition research and learning from this process will help improve national policies on climate change and disaster risk reduction planning and institutionalise climate change and disaster management best practice, indirectly resulting in helping many millions more.